Farm typologies are a useful tool to assist in unpacking and understanding the wide diversity among smallholder farms to improve targeting of crop production intensification strategies. Sustainable crop production intensification will require the development of an array of nutrient management strategies tailored to farm-specific conditions, rather than blanket recommendations across diverse farms. 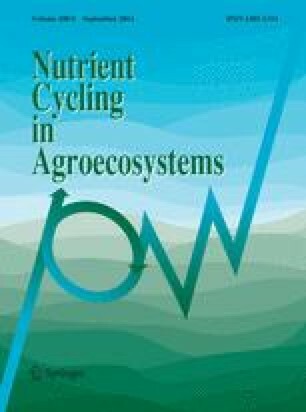 This study reviewed key literature on smallholder farm typologies focusing on three countries (Kenya, Malawi and Zimbabwe), to gain insights on opportunities for crop production intensification, and the importance of developing farm-specific nutrient management practices. Investigations on farm typologies have done well in highlighting the fundamental differences between farm categories, with 3–5 typologies often adequate to represent the wide differences in resource endowment. Resource-endowed farmers have ready access to large quantities of manure and mineral fertilizers, which contribute to higher soil fertility and crop productivity on their farms. Resource-constrained households use little or no manure and mineral fertilizers, and have limited capacity to invest in labour-demanding soil fertility management technologies. These farmers often have to rely on off-farm opportunities for income that are largely limited to selling unskilled labour to their resource-endowed neighbors. The variability in management practices by farmers has resulted in three main soil fertility classes that can be used for targeting soil fertility management technologies, characterized by potential response to fertilizer application as: (1) low-responsive fertile fields that receive large additions of manure and fertilizer; (2) high-responsive infertile fields that receive moderate nutrient applications; (3) poorly responsive degraded soils cultivated for many years with little or no nutrient additions. The main conclusions drawn from the review are: (1) resource constrained farmers constitute the widest band across the three countries, with many of the farmers far below the threshold for sustainable maize production intensification and lacking capacity to invest in improved seed and fertilizer, (2) farm sizes and livestock ownership were key determinants for both farmer wealth status and farm productivity, and (3) soil organic carbon and available P were good indicators for predicting previous land management, that is also invariably linked to farmer resource endowment. This review was done through a grant from The International Maize and Wheat Improvement Center (CIMMYT) to the International Plant Nutrition Institute (IPNI), as part of Consultative Group on International Agricultural Research (CGIAR)’s MAIZE research program.